Microsoft is expected to announce its Surface Pro 4 later today. It has been arguably the most hyped tablet of 2015. The Surface Pro 2 was marketed as a tablet that could do more than others, while the Surface Pro 3 was meant to be the "MacBook Air killer." And this must have had some truth, as Apple scrambled to come out with its long-awaited iPad Pro just this past month. Will the Surface Pro 4 be the answer to the new business tablet from its big rival? As a send-off for the crazily successful Surface Pro 3, we're taking a look into some of the creative ways businesses have been incorporating this tablet into their day to day operations. From huge organizations like the NFL looking to streamline their processes, to small startups trying to remain lean and agile, the Surface Pro has ingrained itself well into enterprise uses. This year the NFL introduced two new additions to the pre-season: an extra official on the field and Surface tablets for instant replay purposes. The idea is to eliminate the time it takes for an official to use the sideline monitor, taking advantage of the mobility of the tablet. This will improve the efficiency of administering reply reviews and will streamline the game play cadence. The stress testing was meant to see if the tablets could withstand any weather conditions, as well as being around an impact sport (obviously), while still providing a high resolution that can clarify the even the closest of calls. The NFL also used previous Surface models, like the Surface Pro 2, pictured below. Leanbox is a Boston-based company that provides healthy and inexpensive food options for 150 workplaces through high-tech fridges. Leanbox is combating the old break room blues that result from bad lunches by creating a custom-mounted Surface Pro 3 terminal where customers can order food, such as miso-glazed salmon, yogurt parfaits and fresh fruits. They can use the Leanbox app or their debit and credit cards to order food and then rate it on a scale of 1-5 using the Surface Pro 3. The power and versatility of the tablet made it an ideal option for their computing needs. Through complex order analytics and customer ratings that come through the Surface Pro 3, the Leanbox learns the preferences of the office so inventory can be restocked accordingly. Indigo Slate is a customer experience agency focused on marketing that has attempted to introduce a slew of technology and device solutions to solve its BYOD, application, and creative needs. As a player in the BYOD movement, the organization encouraged employees to bring their own device to work, which meant there was a lack of cohesion and compatibility across the office. Intrigued by the Surface Pro 3's flexibility, Indigo Slate deployed the tablet to 75% of their users, centralizing their IT around it so their workstations are mobile, yet everyone is on the same platform. Francis Manapul is a well-known, indie comic artist who is recognized for his fluidity between physical and digital styles. He easily flits between digital sketches, physical pieces, and traditional ink and watercolor. Using the Surface Pro, Manapul is able to be more expansive in the way he works as he employs Adobe Photoshop's tablet version to create his comics. He utilizes gestures and the Surface Pen to mix mediums and weave through digital and physical painting to create beautiful multimedia sketches. Studio Swine wants to make the ultimate pair of heels using Surface Pro, utilizing the device from research phase through to designing and developing the concept, to modeling. Aluminium foam is a high-tech material made of 90% air and 10% aluminium that is lightweight and strong. Using this material, the designers are creating the surreal sense of rocks suspended by gravity and the look of meteorites in the shoe design. Usually throughout the design process, they are required to carry around the paper sketches to all meetings and locations, but since Surface Pro allows you to draft directly on the tablet, there's no longer a need for bulky folders of sketches. They even have been using the Surface to 3D scale their designs using an accompanying app. The final step is the photoshoot showing off the final product, which is taken and edited with the Surface Pro with a quality high enough to show the intricacies of the otherworldly designs. Pan Studio is a small scale design company that has set out to transform everyday household objects into musical instruments controlled over Bluetooth. 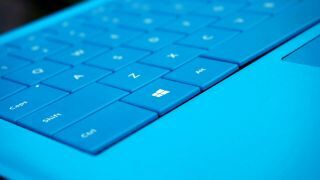 The Surface Pro is used to code the application that will be used as an interface, utilizing the multi-touch display and the ability to turn the Surface into an on-screen xylophone. The Surface also allows for the Pan Studio team to prototype, in addition to building the application using Visual Studio. Similarly to fashion sketches, architects are often forced to carry 3D designs of their projects. Instead, nARCHITECHTS uses Surface Pro to be able to carry their 3D models digitally, without being tethered to an immovable desktop workstation. This means that both construction crews at work sites and clients at meeting can view actual models, instead of simply seeing 2D presentations and slideshows.